Home > Blog > How to get Service Dog Registration? Register your dog with 3 simple steps. 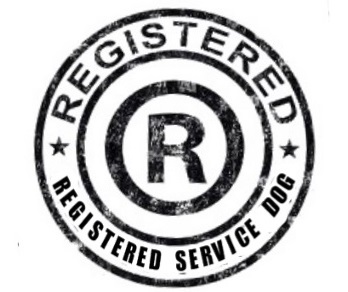 Registration with Working Service Dog never expires and will be valid for the life of your Service Dog. You are not required to provide documentation of your disability for registration as it is a violation of your privacy according to the Americans with Disabilities Act. We trust you will use our official Service Dog registration with honesty and integrity and with the understanding that it is unethical as well as illegal to claim a dog is a Service Dog when it is not. While the ADA clearly states registration and equipment is not required and that your verbal assurance is all that’s needed, there are many benefits provided to you by registering your Service Dog. According to the Americans with Disabilities Act In situations where it is NOT OBVIOUS that the dog is a service animal, staff may ask only two specific questions: (1) is the dog a service animal required because of a disability? and (2) what work or task has the dog been trained to perform? In other words, if you have made it obvious your dog is a Service Dog by it wearing a vest you cannot be questioned and they must allow your entry. Once you’ve clearly identified your Service Dog even businesses that post signage prohibiting pets must allow you and your dog access. They are prohibited by federal law to question you regarding your disability. The ADA requires that ALL businesses allow people with disabilities to bring their Service Animals onto any business premises in whatever areas customers are allowed. Air carriers must permit Service Animals used by individuals with disabilities. All carries must accept that a dog is a Service Animal with evidence such as written documentation, the presence of a harness/vest or verbal assurance from the disabled individual using the Service Animal. Please clearly understand registration and gear is not required under the guidelines of the ADA. There is also no official government database that oversees Service Dog registration and that each company offers and maintains its own independent database. However many people find having a service dog vest, ID card, certificate - certification, tag and Service Dog registration avoids being hassled or questioned. There are many establishments that continue to break the law and request Service Dog Identification. The choice is yours, you can identify your service dog or stand your ground in telling them that by federal law in accordance with the ADA you are not required to produce anything and immediately report and direct them to the U.S. Department of Justice. U.S. Department of Justice's toll-free ADA Information Line at 800-514-0301 (voice) or 800-514-0383 (TDD).